Who’s the best Dragon Ball Z villain? For me, the answer is easy: It’s Frieza. 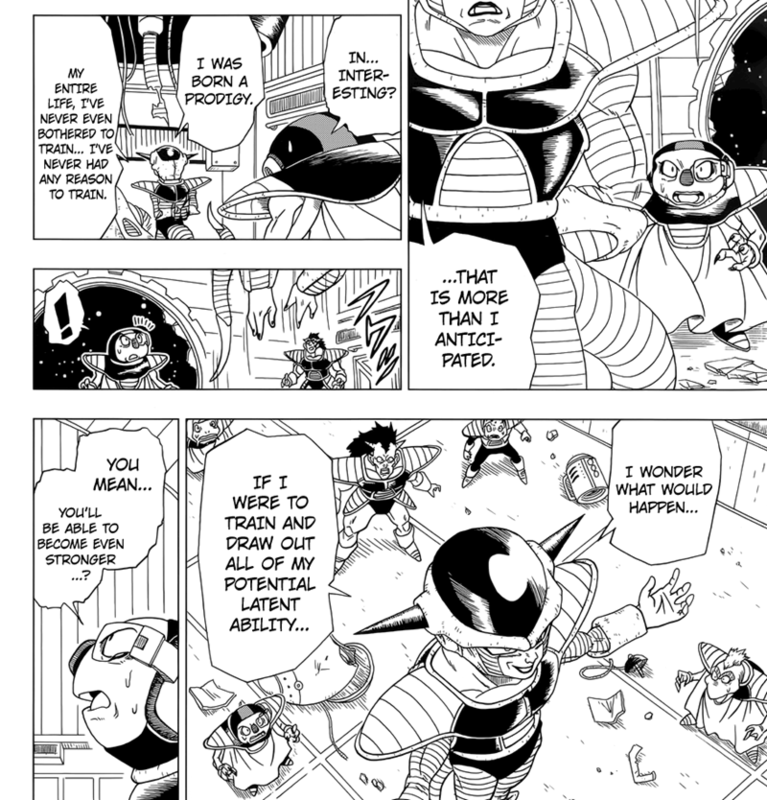 Even though his power was outclassed by bigger guns such as Cell and Majin Buu in subsequent story-arcs, Frieza was the big bad who set a benchmark. He was pretty much unstoppable, taking a spirit bomb to the face and going toe to toe with Goku’s newly-awakened Super Saiyan form. He’s been dead for a while, but only the good die young. 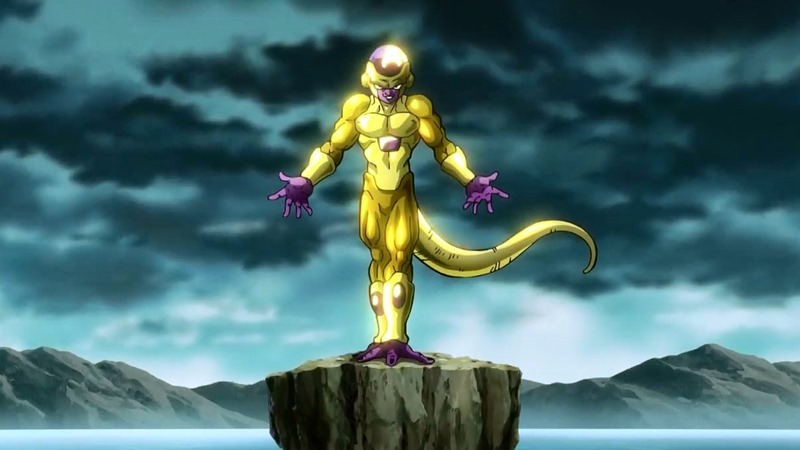 And the infamous tyrant is making a comeback with a golden new form in Dagon Ball Z: Resurrection of F.
“But how”, I hear you whisper as you wonder just how Frieza has suddenly become strong enough to stand up to a Super Saiyan God Goku. Has he been klapping it at space-gym? Space growth hormones? Space-banting? The answer is actually pretty simple, and sort of spoilery, so stop reading now if you don’t want to find out. In a world populated by talking shape-shifting pervert pigs, magical flying clouds and people who believe that Yamcha can actually hold his own in a fight, this works for me. The movie is out soon in Japan, although I’ll wait for the English dub after watching the rather superb Battle Of The Gods last year. Now if you’ll excuse me, I’m going to go listen to that heavy metal Frieza song again.